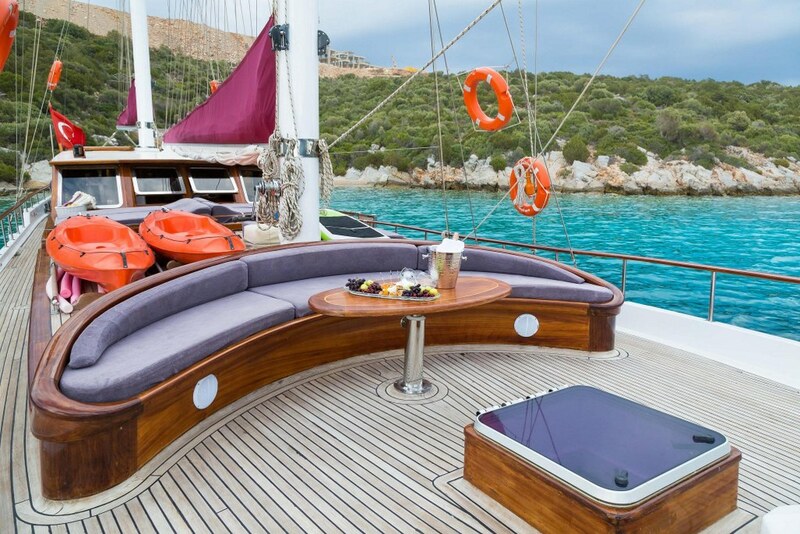 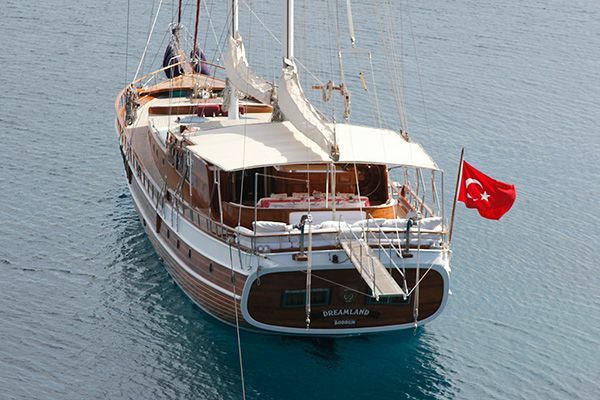 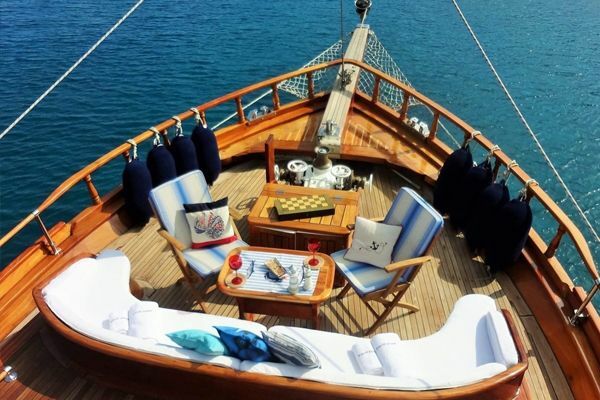 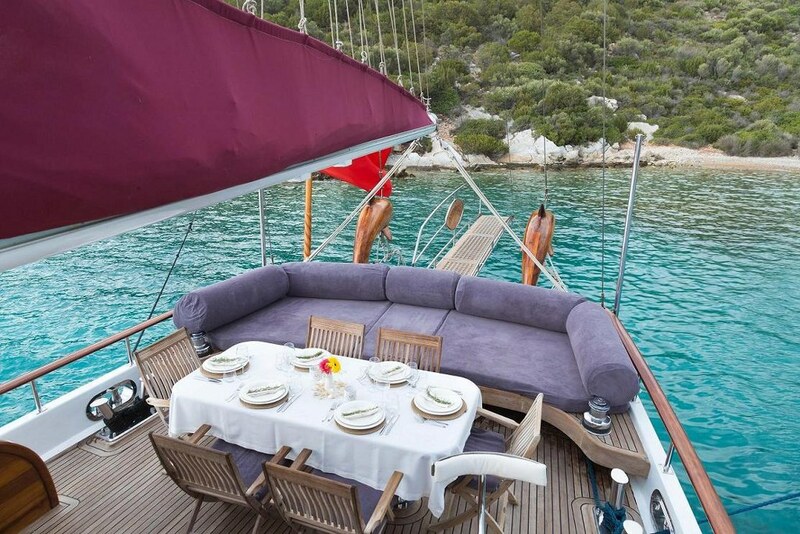 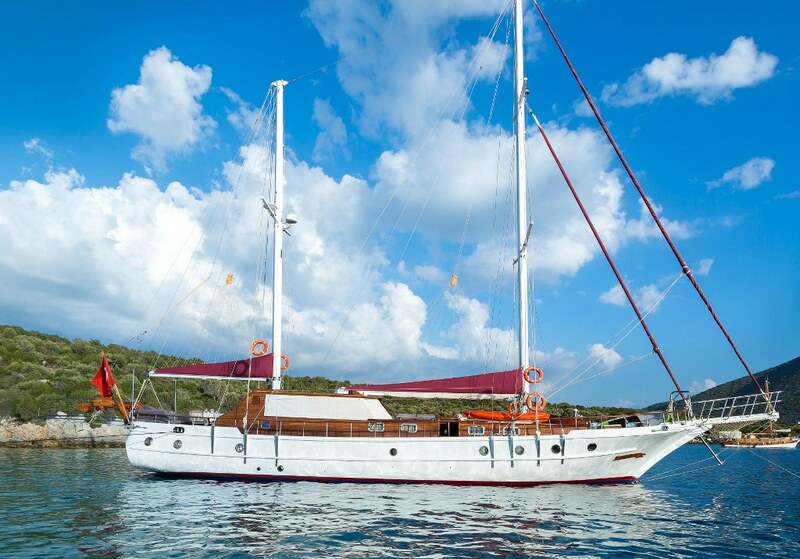 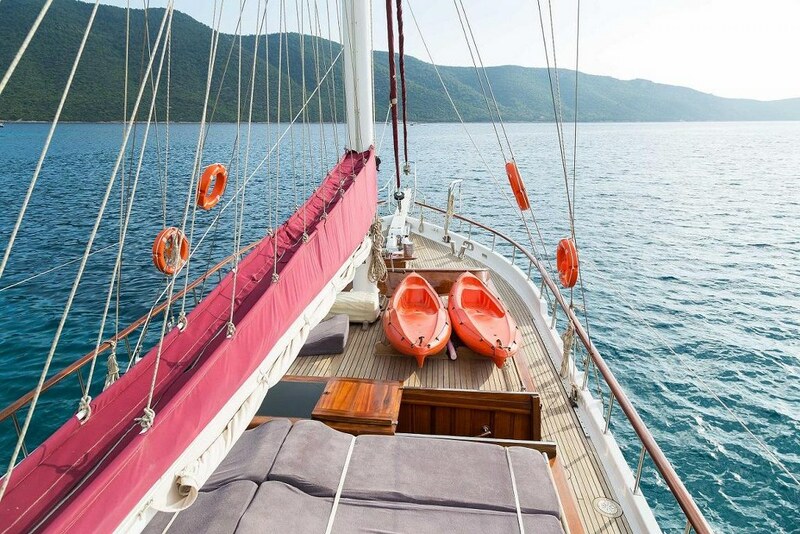 The luxury gulet Primadonna is a lovely small Bodrum ketch gulet which was completely refitted in 2009. 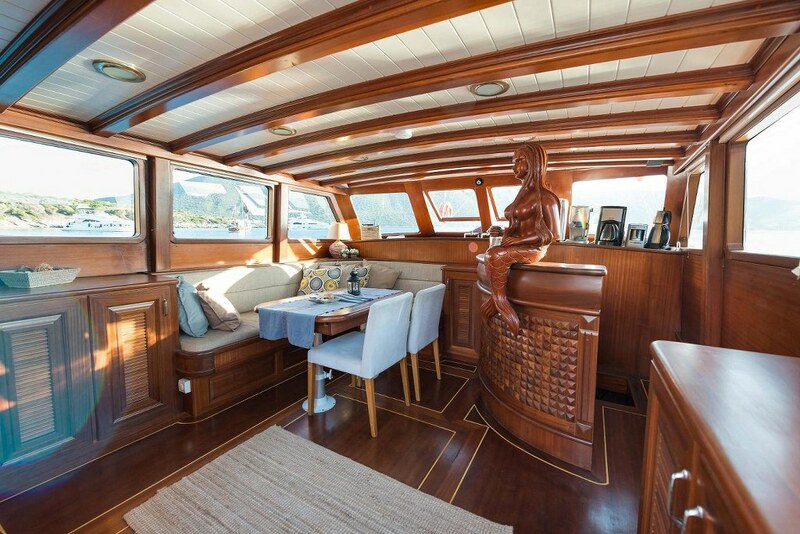 With her finely finished interior of beautifully turned mahogany she is ideal for a honeymoon couple, two or three couples or a small group of friends. 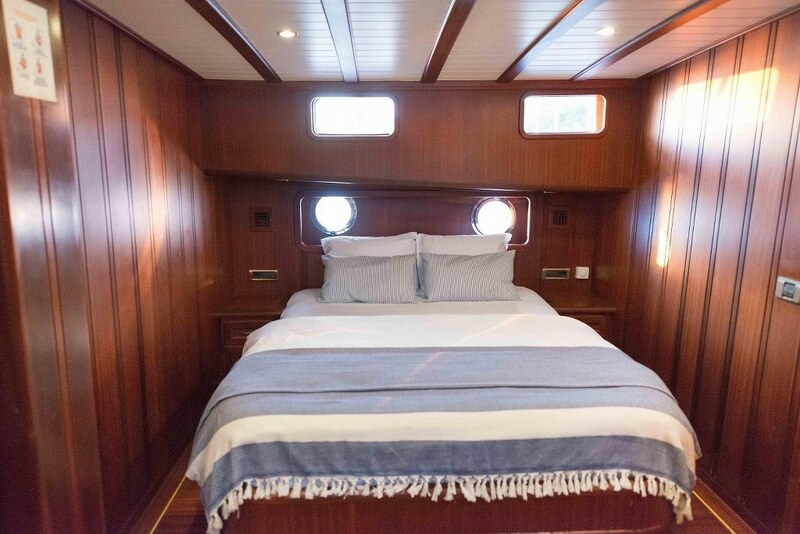 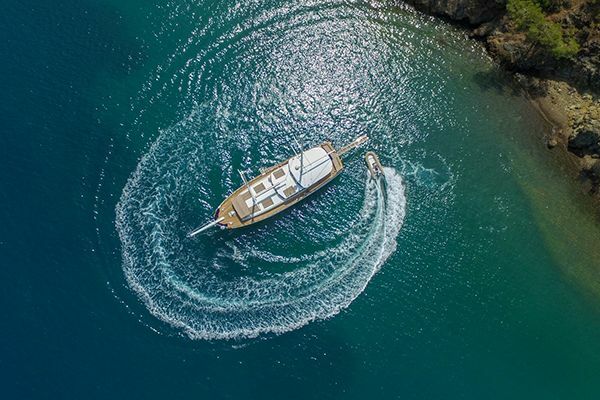 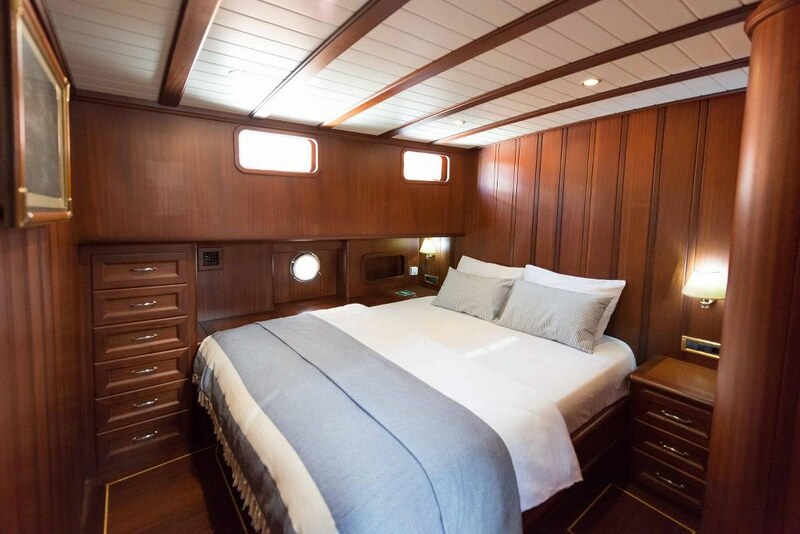 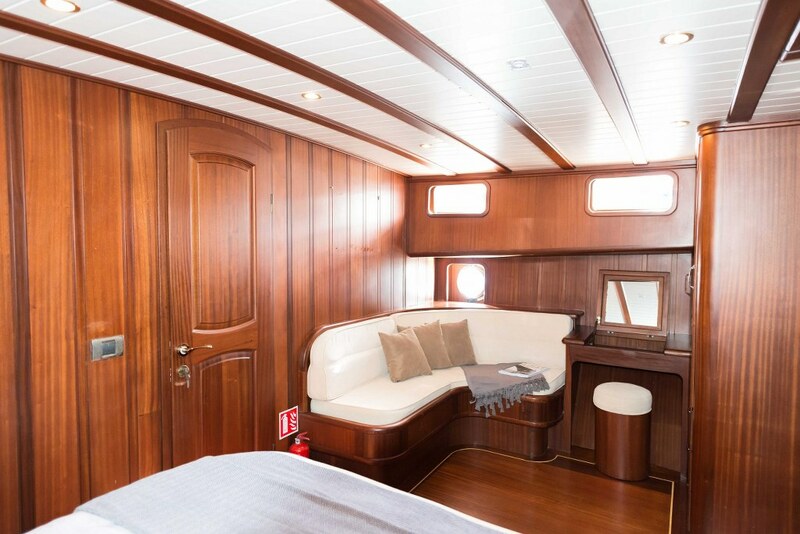 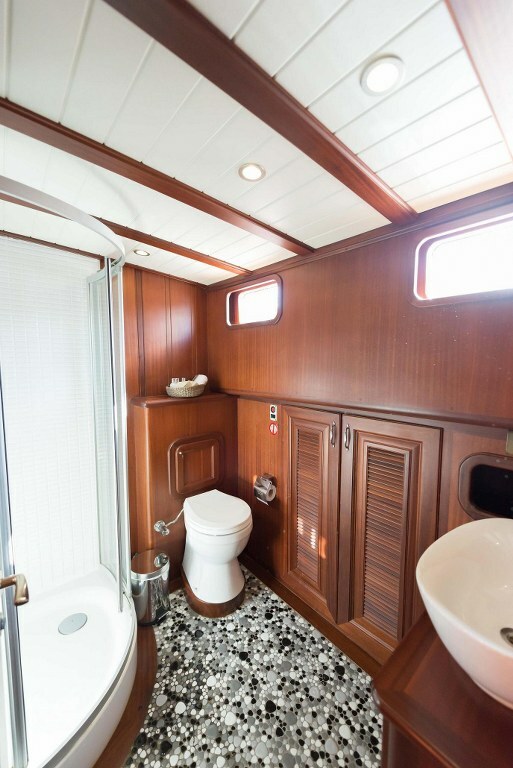 Primadonna gulet has a unique layout of three master cabins with all enjoying the full beam width of the gulet and plenty of natural light from portholes. 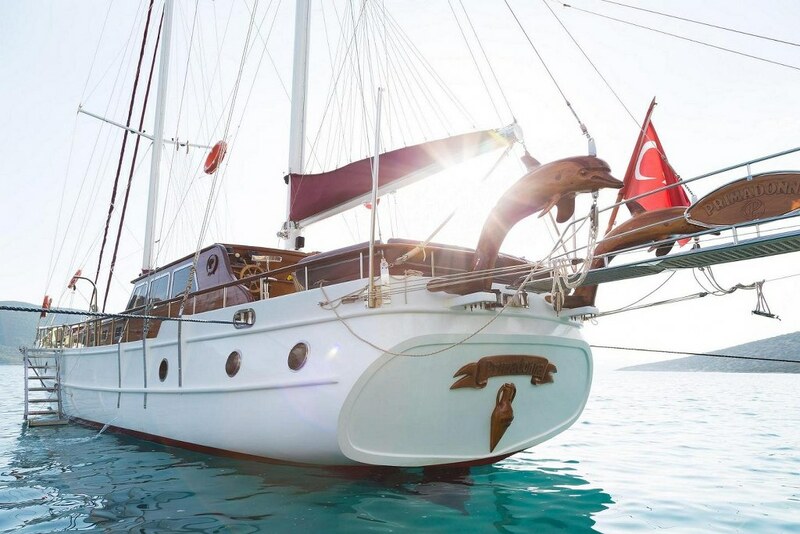 Unusually for a gulet, no cabin adjoins the other, ensuring a pleasant degree of privacy suitable for couples, singles or even a small family. 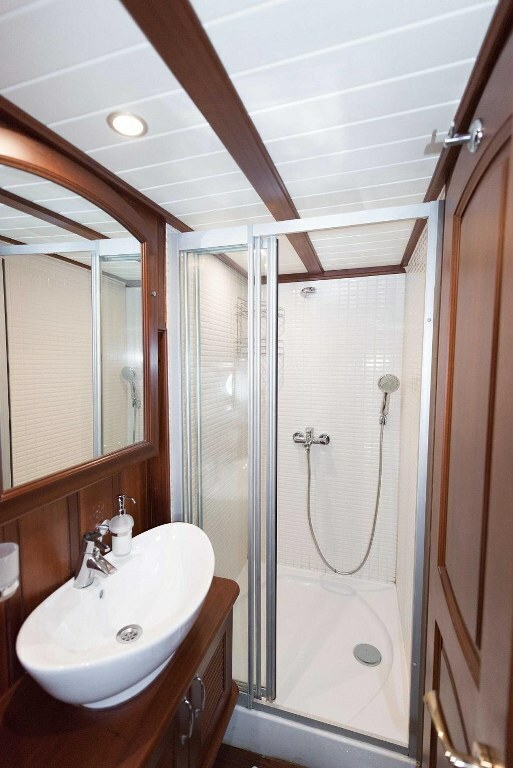 Another unusual feature is the separate entries to the cabins: one in the aft from the saloon while the two spacious cabins forward have their separate entry from the deck. 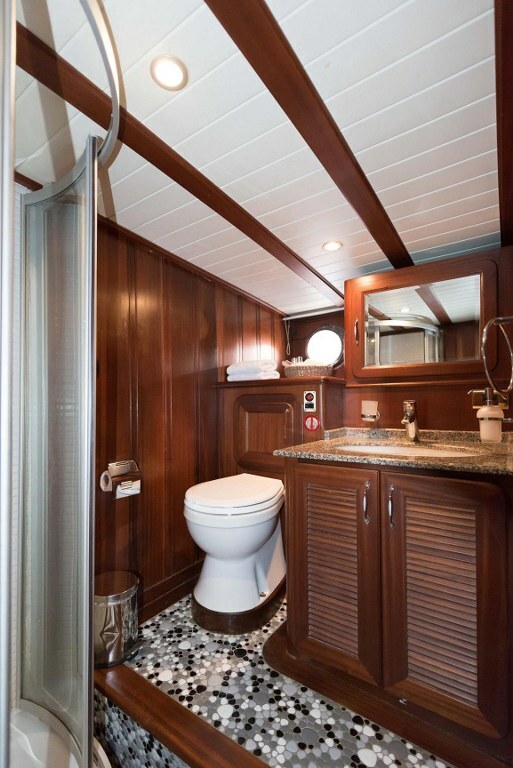 Two of the master cabins have centrally aligned beds and all cabins have air-conditioning available, and an en-suite bathroom with shower cabin. 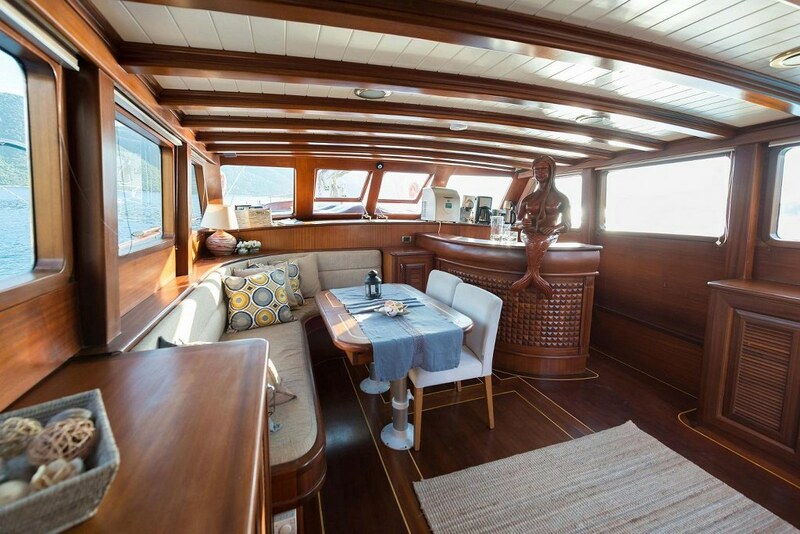 The salon offers a seating bench and table for relaxing indoors, with TV/DVD - music system and Internet access available and the main bar which has behind it and a few steps down, the well-fitted galley where all the delicious meals are prepared by the cook. 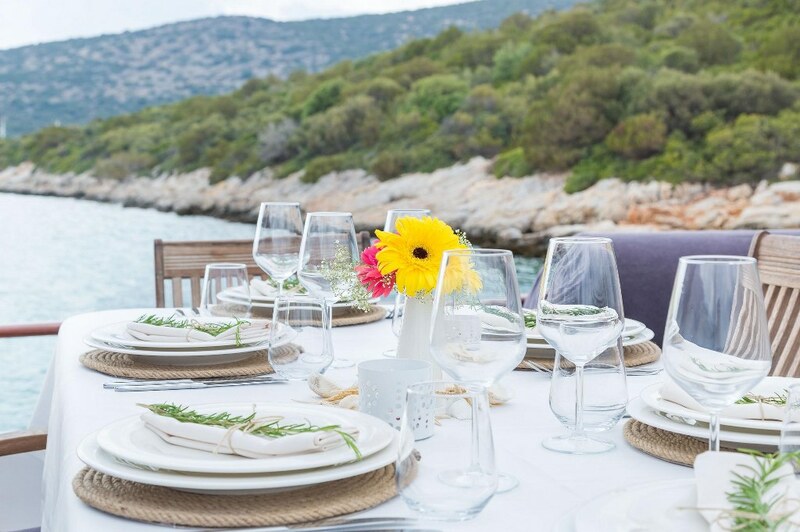 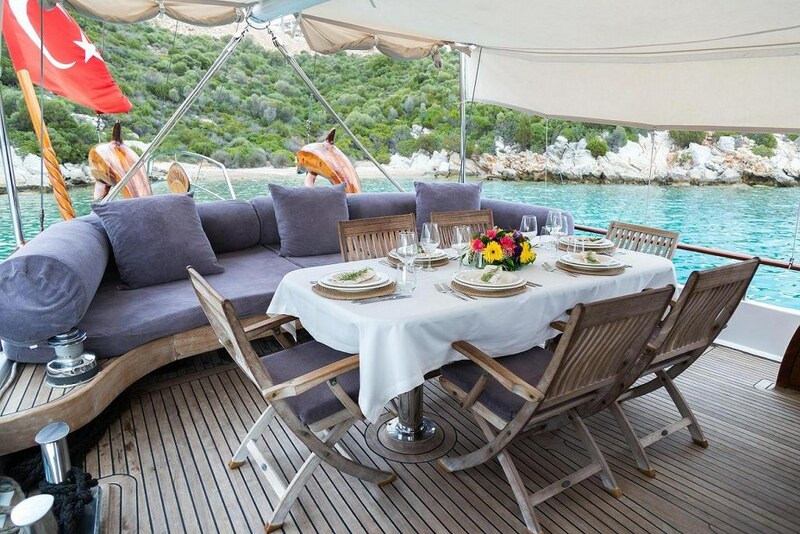 The outdoor deck areas fore and aft offer enticing space for relaxing, aft has a wide bench with cushions and an alfresco dining table aft in the shade, while in the bow a long curved seating area with a small table makes the ideal place for happy hour as the sun goes down. 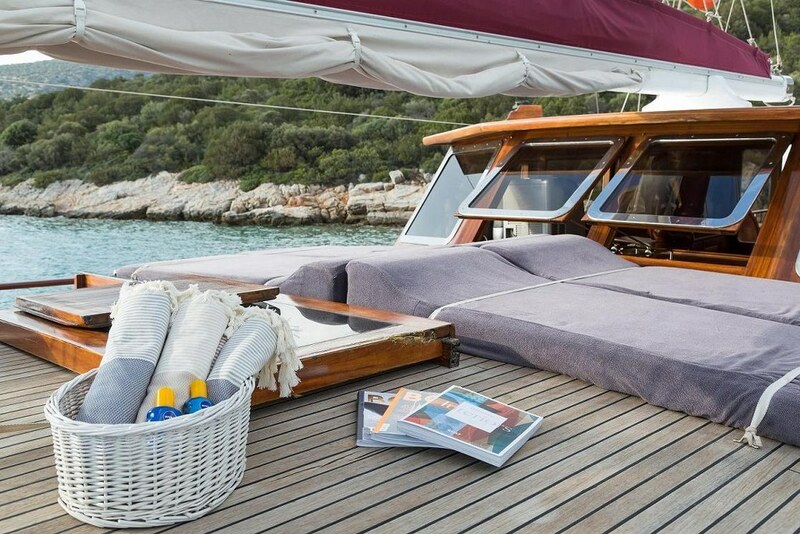 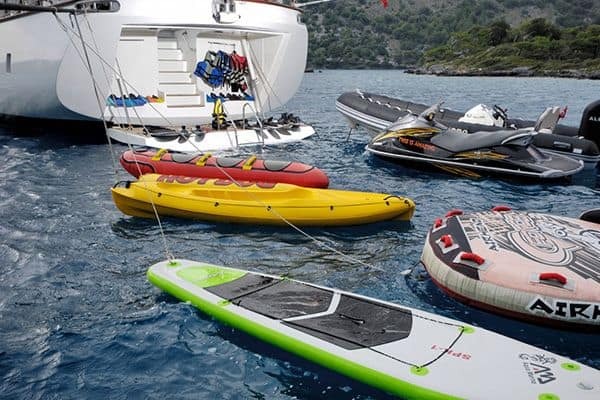 On the mid-foredeck are more than enough sunbeds for each guest to please the sunbathers. 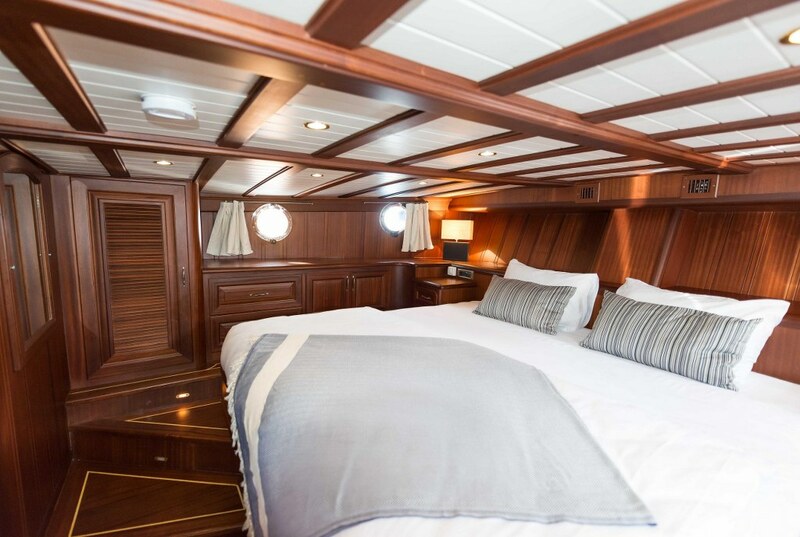 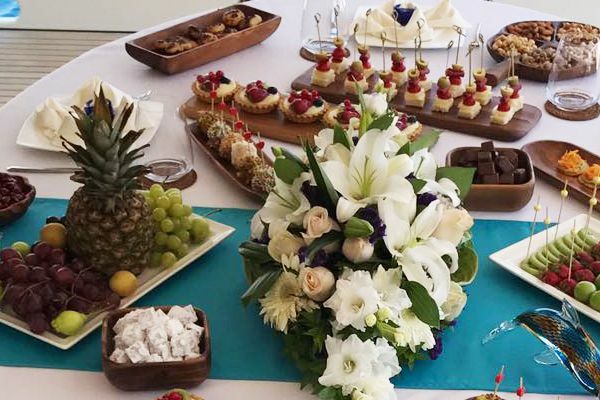 The captain and the two sailors on gullet Primadonna are very hospitable and professional and take care of all management on board while serving superb meals, and all cleaning. 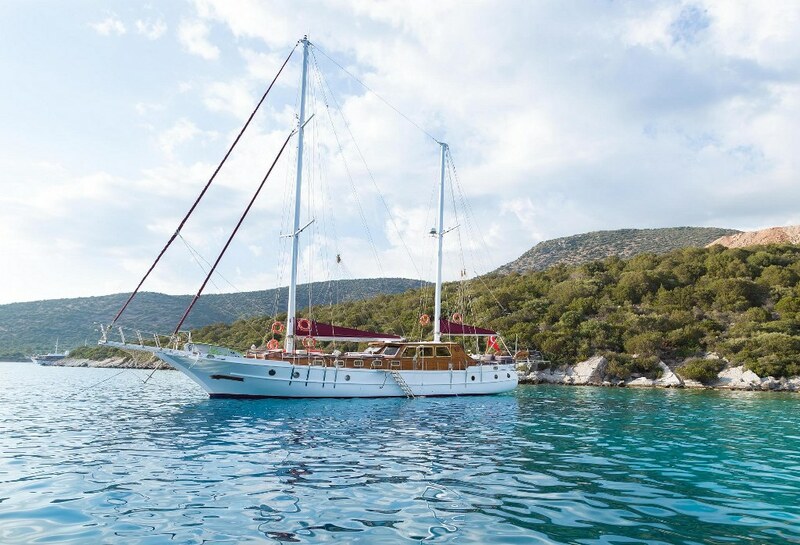 If there is wind the elegant gulet Primadonna is perfect for some enjoyable sailing to make a “Blue Cruise” on the Turkish coast and the nearby Dodecanese Greek islands a memorable experience.